The Spanish Foundation for Science and Tecnology (FECYT) and the Network of Spanish University Libraries (REBIUN) have supported the International Open Access Week 2013 held from 21 to 27 October. Both institutions have organized several events to promote among the academic and research community the benefits of open access and share experiences in this area. This is the sixth year that International Open Access Week is celebrated around the world. It is an appropriate forum for the dissemination of the progress in open access management to research data developed in the last months of OpenAIRE Plus project. FECYT is the national helpdesk to support the project implementation in Spain. The Foundation provides functional assistance to Spanish institutional repositories and disseminates the policies and implementation of open access in Spain. 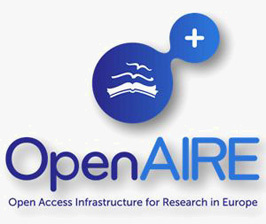 More information about OpenAIRE Plus project. On line seminars have been followed through SocialBiblio Website a place for cooperation and information exchange focused to training in information management.